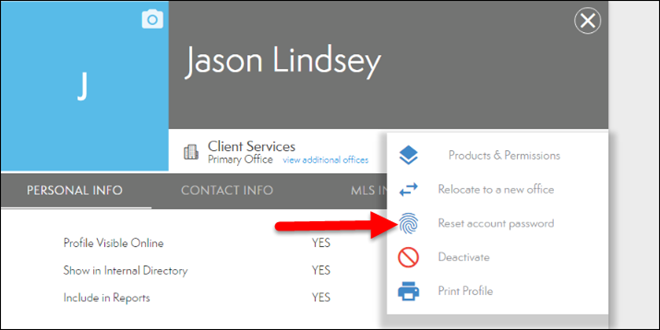 If an agent, or staff, forgets their password, you can reset it for them. 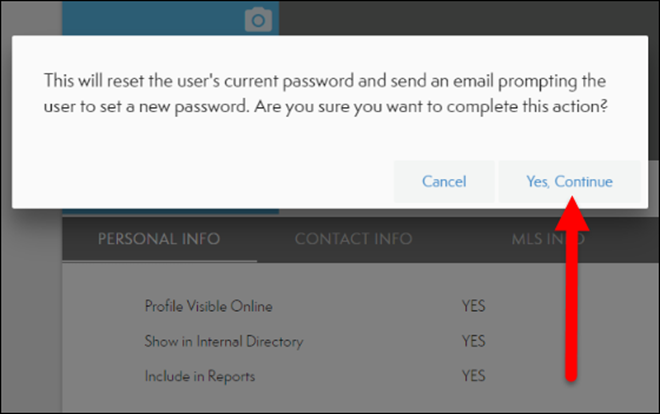 Follow the steps below to reset and initiate an email allowing the person to set a new password. Select Reset account password (see below). Select Yes, continue in the pop up (see below).